Hi, I’m Coach Lee, and have more than eighteen years of experience working with troubled relationships. 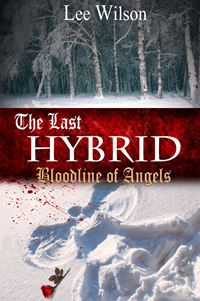 Lee's best-selling novel, "The Last Hybrid: Bloodline of Angels" is a paranormal romance that reached # 3 on Amazon.com. See the trailer by clicking the "read more" button below. This is the website of life coach, businessman, and best-selling author Lee Wilson. Find helpful posts from Lee as well as information on his products and services.